My father listened to the radio in the middle of the night. If I woke I could hear the soft tones of some seemingly distant program or if the Yankees were playing on the west coast, the announcer’s play-by-play. I loved listening to the radio in the middle of the night. As a teenager I’d slowly dial the tuner to find music or whatever caught my ear. I still am a night-listener, though nowadays it’s mainly podcasts. At some point years ago when dialing around I heard someone telling a story. A remarkable voice. In that sleepy-middle-of-the-night zone, I was hooked, but confused in a few minutes. This storyteller, this Voice, had taken a turn somewhere and led me down the proverbial rabbit hole. There was no Google. No internet to quickly look up a station’s schedule (if I’d even known what the station was). I never found out whose voice. Every few years in the middle of the night as the dial turned I’d hear him again and know I was in for another strange trip if I was lucky enough to have fallen at the beginning of this venture. When I saw a headline that Joe Frank had died, I thought Joe Frank? Joe Frank died years ago. 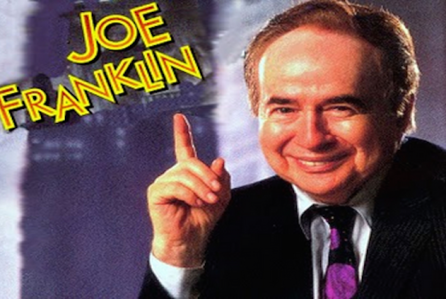 Then I realized I was thinking of old time TV and radio personality Joe Franklin from New York City. Yes. Joe Frank. After decades of wonder, enthrallment, and confusion, I’d found the voice. Dozens of individuals and groups have since sadly noted Franks’s passing with glowing articles, interviews, and podcasts . If you Google “Joe Frank” the first page alone lists links to the Los Angeles Times, the New York Times, NPR, WNYC, Slate Magazine, the Washington Post, Chicago Reader, and LA Observed. 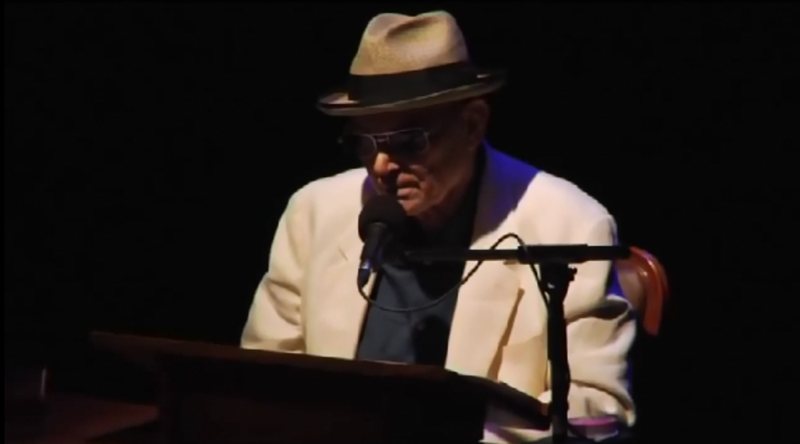 WNYC’s Brooke Gladstone’s comments typify these unanimous plaudits: Joe Frank died Monday. He was 79. And he was a radio giant. He conducted interviews, read stories, wrote dramas, and none of it was like anything done before because it was so raw and, frankly, nuts. To many of us, it was shocking and sad. He wasn’t a huge star but his light has been reflected in the great work of people you do know. People like Harry Shearer who said on Twitter: The great radio artist of our time has passed away. You will never hear anybody smarter, darker, funnier than Joe Frank. RIP, my friend. Check him out at https://t.co/yIYHeWiQHN No better honor of his memory than you hearing his work. People like Ira Glass of This American Life who heard Frank and realized that this type of storytelling, this type of production, was what Glass wanted to try do, too. “…and he was part of my shift. And every time, I’d just be like, what the F- is this stuff? I, I would just be sitting there listening to him and just like amazed and like mentally taking notes, being, like, oh, this guy has a feel and a — there’s a surreal-ity and a disorienting-ness to his stuff that I was just really fascinated by, and I was like, oh, I want to, want to do that. There was a time when I danced on a street corner dressed as a chicken. My job was to draw attention to a furniture store down the block. One evening, when my shift was over, still wearing my chicken outfit, I walked into a bar across the street. I’d ordered a Bombay martini straight up, olives on the side. A prostitute sat down next to me. She was young, willowy, had a faraway look in her eyes. Her name was Meredith. We talked about our careers, the importance of networking, setting goals, focus. Then I excused myself, walked into the men’s room, entered a stall and sat down on the toilet and had a bowel movement that broke in two. And half of it was still hanging out of me, so I had to wipe myself 50 times, repeatedly checking to see if there was more left on the toilet paper. Disgusting? Sure. Troubling? Yup. Intriguing? Absolutely. Keep listening? Hard not to. Where was it going? How would it end? Jad Abumrad spoke with Ira Glass on a Radiolab podcast tribute to Frank and both spoke enthusiastically, glowingly, and humorously about Frank’s influence on them. And if you have never heard Ira Glass drop a few F-bombs and you’d like to, follow that link! Joe Frank died of colon cancer complications, but health issues had filled his life from birth. He was born Joseph Langermann on August 19, 1938, in Strasbourg, France, His parents and he escaped the Nazi pogrom in 1939 by fleeing to New York City. Frank had club feet. His father died when he was five on a day of a procedure aimed at correcting that condition. His mother told him that his father had gone on a business trip. One of his testicles never descended and when he was 20 he got cancer in his one testicle. Radiation saved him. He had bladder cancer. He got colon cancer. He had scoliosis. He had kidney failure and a first cousin donated their kidney to save Franks’s life, but later charged Frank for the kidney. His colon cancer came back. Away from doctors and treatments, Joe Frank attended Hofstra University (NY)–he said he’d cheated on his entrance exam. After earning a degree in English. He attended the Iowa Writers’ Workshop, but didn’t finish the program. He taught for 10 years at Dalton, an exclusive private school in NYC hoping to be a writing, but teaching was too time-consuming. For two years, still living in NYC, he formed a company to produce musical acts at the Academy of Music in Northampton, Massachusetts. On the drives between NYC and Massachusetts he listened to the radio, particularly liking baseball games, not so much for the way the announcers called the play-by-play, but the way the announcers told side stories. Radio became his passion. In 1978, he moved to National Public Radio in Washington, DC and its “All Things Considered,” but that did not work out. He continued to work sporadically for NPR as an independent producer. In 1986, he and KCRW (Bakersfield, CA) found a partnership. His first series, Work in Progress, was followed by In the Dark, which morphed into Somewhere Out There, and finally The Other Side. 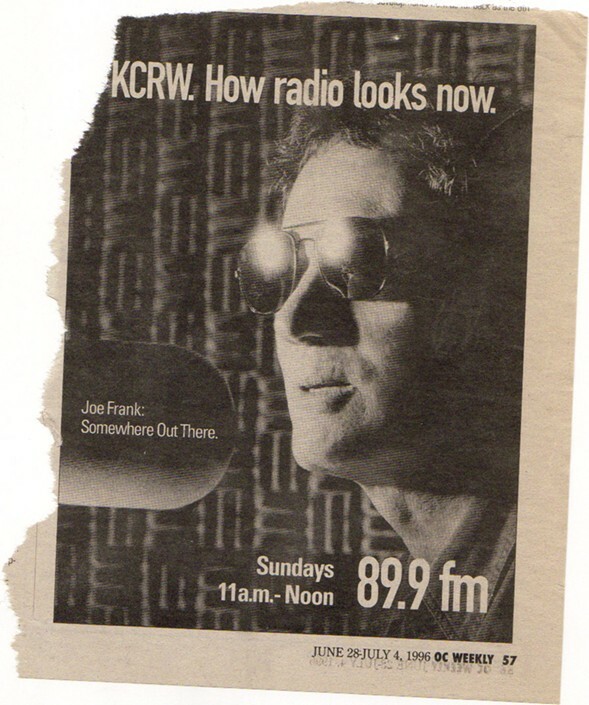 That relationship lasted until 2002 when a disagreement with Ruth Seymour, KCRW’s general manager, led to his firing. By then the internet had arrived and Frank expanded his web page and his live performances. 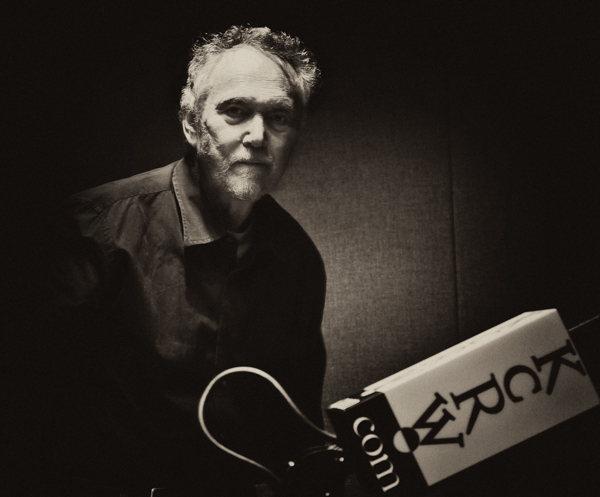 He did return to KCRW before leaving again in due to recurring poor health. “A Tour of the City” by Theatre Anima in Montreal, Canada, translated into French, which included performers from Cirque du Soleil. “Rent-a-Family” by Stages Trilingual Theatre in Los Angeles. “Jerry’s World Onstage” by Infernal Bridegroom Productions, Houston, Texas. Finally, the industry recognized his talent with many awards. Two Gold Awards from the International Radio Festival of New York for outstanding radio drama. Two Corporation for Public Broadcasting Radio Program Awards for best Broadcast Performance. A Broadcast Media Award from San Francisco University. An Emmy Award for “Joe Frank: Storyteller” featured on public television station KCET. Mr. Frank is also a Guggenheim Fellow. Joe Frank was also the author of “The Queen of Puerto Rico and Other Stories,” a collection of short stories based on his radio work published in 1993 by William Morrow. Frank was 79 when he died on January 15 in Beverly Hills, California. I wish I knew your name sooner, Joe Frank, but you will always be in my ears. Thanks for the article. Your readers might be interested in the documentary film that is hitting festivals this year JOE FRANK-SOMEWHERE OUT THERE. I have and the email address seems broken.